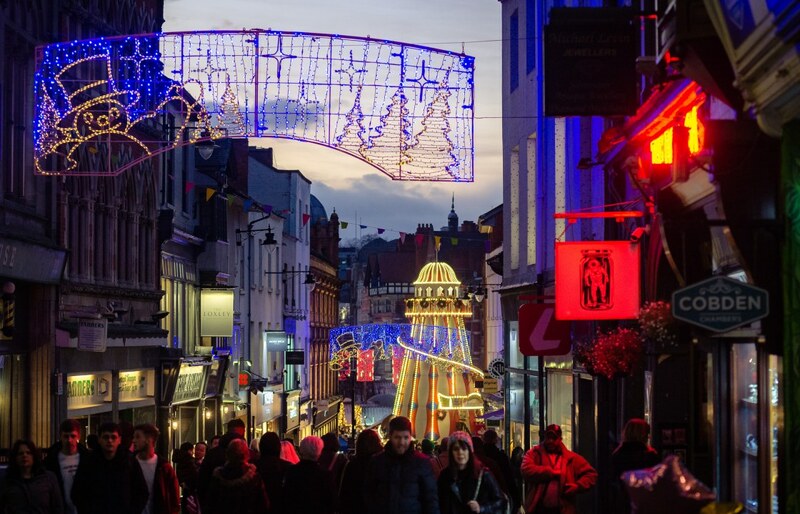 A recap of my recent social media posts previewing the 2019 edition of my Nottingham Calendar with the images I’ve chosen for each month , in this second part I concentrate on images I’ve selected for the months of July to December. Here’s a look back to the images I’ve selected for the first part of the year from January to June. More information , and a link to ordering online can be found here. 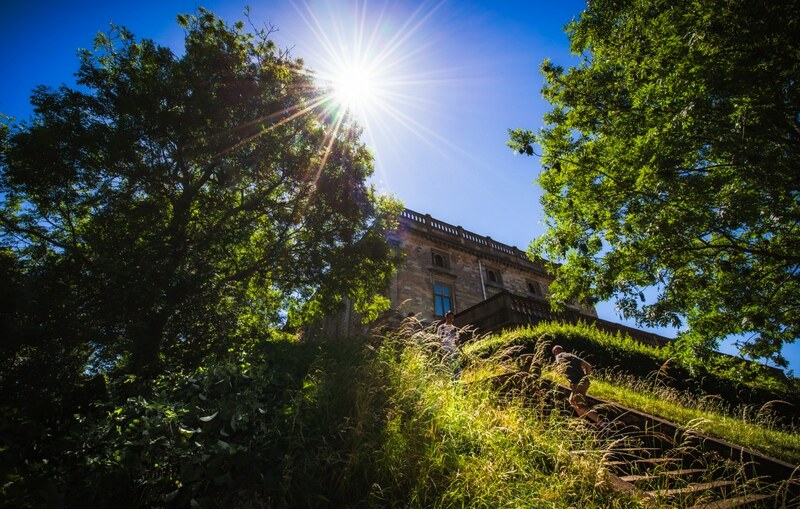 July – Sunshine highlights steps at Nottingham Castle , seen on the final day before it closed for a major site redevelopment , due to be completed by 2020. 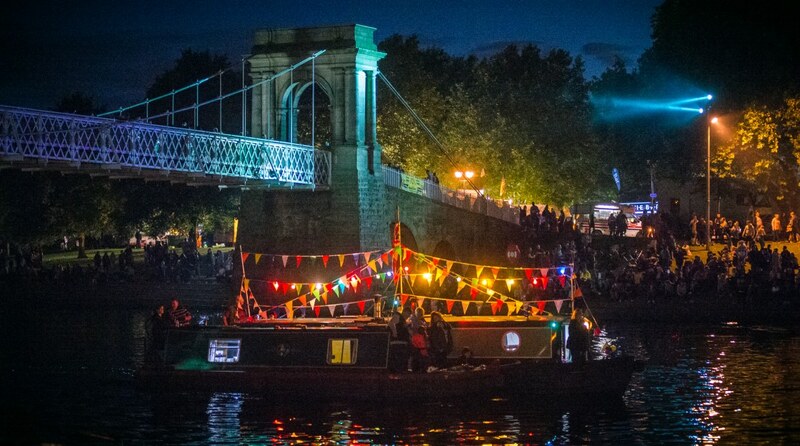 August– A party on a brightly lit boat highlights the carnival atmosphere of the Riverside Festival as crowds gather around the River Trent before a fireworks display. 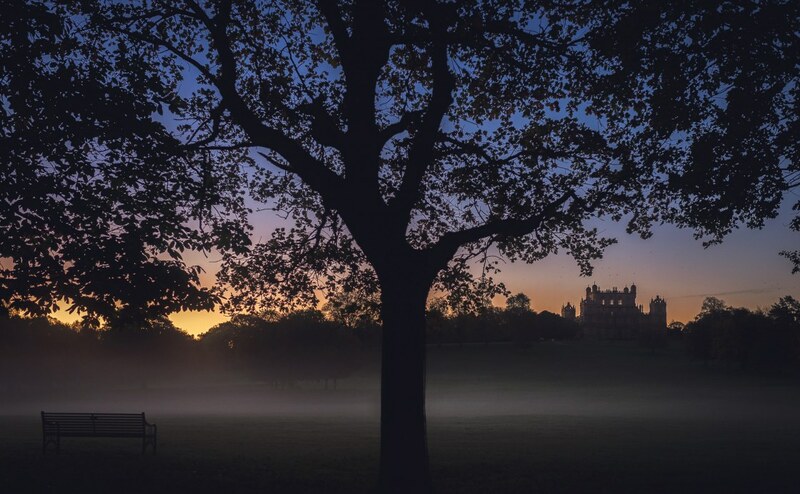 September – Wollaton Park is cloaked by morning mist , while a colourful dawn sky highlights the silhouette of the hall. 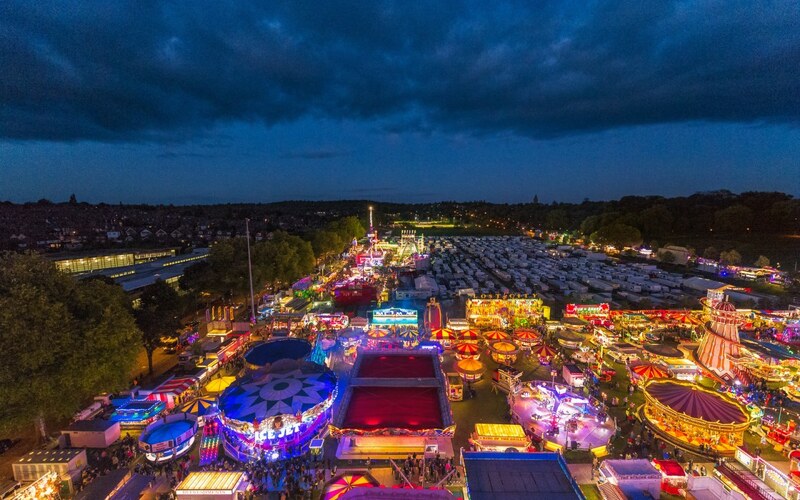 October – An aerial take of the Goose Fair site on the Forest Recreation Ground , with the lighting of the fairground stalls and rides beginning to take effect as the evening draws in. 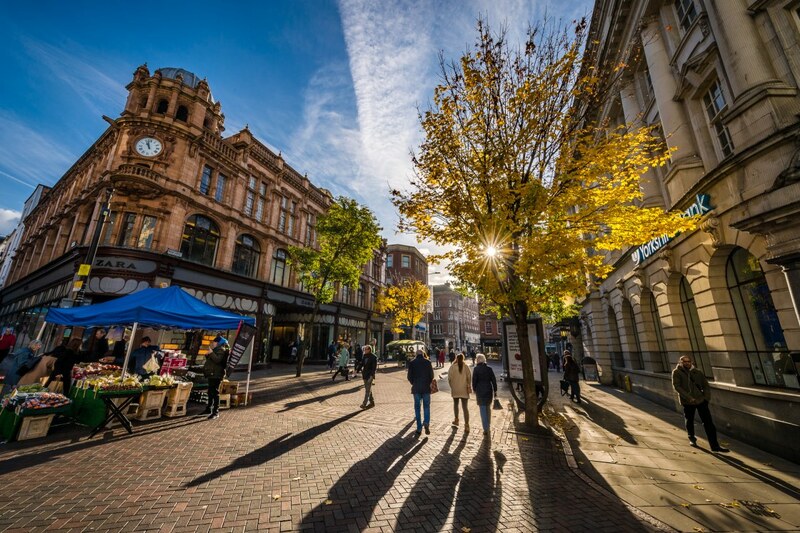 November – A burst of autumn along High Street in the City Centre, highlights the rear of the Council House , housing the Exchange Arcade (right) , while to the left the ornate façade of the former Boots flagship department store appears. class="post-template-default single single-post postid-3812 single-format-standard samba_theme samba_left_nav samba_left_align samba_responsive woocommerce-no-js wpb-js-composer js-comp-ver-5.6 vc_responsive"